very gentle for daily makeup removing and smells good ! Like the smell and leaves skin supersoft! the cleaning effect is so so. But it's comfortable. Bought as a present for a relative with very sensitive skin,she's very pleased with it,it does remove make up doesn't dry the skin and doesn't leave a film, also the price is great. 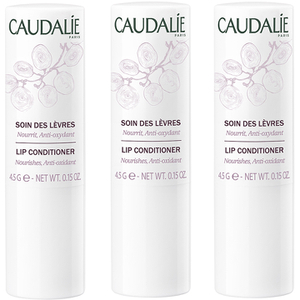 Caudalie products are cheaper online than in store and the quality is great!! I really like this product, clean and smell, is very good. Yes this product is expensive but is pure luxury. It is the most relaxing bath product i have ever used. The smell might put some people off, it is sort of herby/medicinal but personally i quite like it. Gentle and smooth cleanser. Happy with the texture, smell and results. This is the best make up remover ever! My mascara vanishes within a second from my lashes and it's just great! Very pleasant scent as well! Highly recommended! 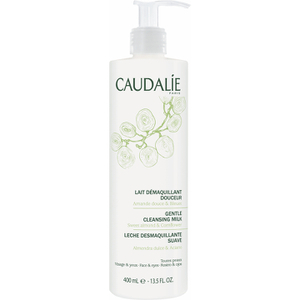 The smell of Caudalie Gentle Cleansing Milk is so nice coz it smells like grape. its so fresh. n its so gentle doesnt hurt my skin at all.